A few hours ago the Progress MS-5 spacecraft blasted off atop a Soyuz U rocket from the Baikonur Cosmodrome in Kazakhstan. After about nine minutes it successfully separated from the rocket’s last stage and was placed on it route. 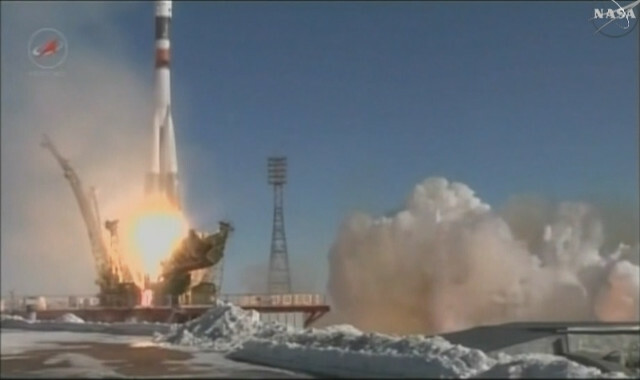 The cargo spacecraft began its resupply mission to the International Space Station also called Progress 66. The Progress MS-5 cargo spacecraft is carrying a total of more than 2.4 tons (5,300 lbs) of various types of supply including food, water, air, oxygen, propellant and more such as a series of products for the International Space Station crew, various science experiments, tools and various hardware. These are the cold data but for the Russian space agency Roscosmos this mission is important after the previous one’s failure. The Progress MS-4 cargo spacecraft was launched on December 1, 2016 but separated early from the Soyuz U rocket’s third stage and crashed to the ground. The investigation that followed the mishap indicated a problem in the third stage and in particular a malfunction in its RD-0110 engine. According to the investigators, a piece of debris got into the engine or an error in production allowed it to be present from the beginning. For safety, the the third stage’s engine of the Soyuz rocket that launched the Progress MS-5 cargo spacecraft was replaced with one from a different production batch. That’s because some quality problems were found in those produced by the contractor that built the engine that failed. It’s also the last launch carried out using the Soyuz U rocket. In recent years Roscosmos started testing a new version of the rocket, the Soyuz 2.1a, which has been in use for other space missions for quite some time. From now on it it will be used to launch all the Progress space freighters. For now Roscosmos keeps on using the 2-day path because the tests of the systems that must be used in the stages following the launch to communicate with the Progress and Soyuz spacecraft are still needed. These systems were installed a few months ago and it’s still not clear when they’ll be declared ready to use the 6-hour fast path. For this reason the Progress MS-5 is scheduled to reach the International Space Station on Friday, around 8.34 UTC. The Progress has an automated docking system so it will reach the Pirs module on its own.